Picking the best rehab for drug and alcohol addiction is confusing. How do you start? That is an excellent question to ask because choosing the best drug or alcohol rehab is imperative to overcoming addiction. I have listed each of the 12 factors I use below for finding, evaluating and helping people make a decision on choosing the best rehab or treatment center for themselves or a loved one. By the way, there is no difference when we use the word “Rehab” or “Treatment Center”. Regular people tend to use the word Rehab and medical professionals tend to use the words Treatment Center or Treatment Facility. Sometimes you are so relieved when your family member is willing to go to treatment you will want to choose the first facility you find on the internet or saw once on TV. Picking a facility by how much they are willing to spend on an ad or how quickly their website pops up does not guarantee it is a good treatment center or the best treatment center for you or your loved one. You may have a friend or family member that went to XYZ Treatment Center and they swear it is the “one and only best treatment center in the world”. FYI almost everyone that gets clean and or sober feels the specific rehab they went to is the only one that works. Also just because XYZ drug treatment center worked for your friend as you will soon read below “ONE SIZE DOES NOT FIT ALL” in picking a drug or alcohol rehab. Another question: who is the right person to ask for assistance in finding a drug or alcohol treatment center? Most people get overwhelmed by the number of different considerations there are when choosing a rehab. Don’t be discouraged there are Interventionists and other qualified professionals that can help you pick a quality drug rehab or alcohol treatment center if you want assistance. Companies like ours 800 Recovery Hub do so free of charge. You want to make sure whoever is advising you has a nationwide network of treatment centers to choose from. You never want to rely on calling one specific facility and asking them because your questions need to be answered by an impartial professional, not from the staff from a specific drug or alcohol treatment center. Remember, they are biased. Below is a list of 12 basic factors to use in picking out a treatment center for yourself or a loved one. Most treatment centers will be licensed to treat many different types of addictions and assorted mental health issues. However, keep in mind most rehabs have a niche they stand out in. 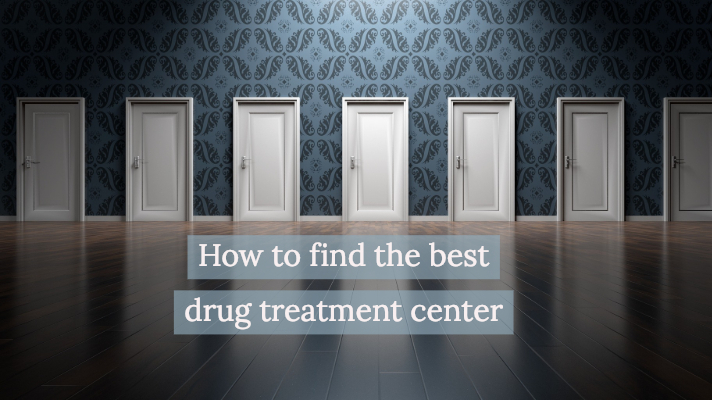 Please don’t let a treatment center or rehab answer that question for you because they most likely will try and convince you that their specific center can treat any and all addictions better than anyone else. If you plan to use insurance to pay for drug or alcohol treatment you need to first find out what accreditation and facility requirements your insurer has placed on your specific insurance policy. 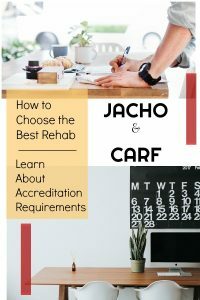 As far as accreditation requirements many insurers require either JACHO (Joint Commission, Accreditation, Health Care, and Certification) and or CARF (Commission on Accreditation of Rehabilitation Facilities) accreditation in order for them to pay for treatment. Sound confusing don’t worry I will explain what that all means to you. CARF and JCAHO are separate accrediting organizations, each with its own high standards. As far as accreditation requirements many insurers require either JACHO (Joint Commission, Accreditation, Health Care, and Certification) and or CARF (Commission on Accreditation of Rehabilitation Facilities) accreditation in order for them to pay for treatment. Sound confusing don’t worry I will explain what that all means to you. In order to get JACHO and or CARF accreditation every substance abuse facility must apply, pay a fee and pass an inspection. The application process takes approximately 12 months and is very thorough. It requires much documentation and an in-depth review of the quality of care, treatment services and safety provided by the facility. In summary, a facility that has JACHO and or CARF accreditation has proved to an independent body that they meet or exceed standards necessary to provide quality care. Since there are over 14,000 licensed treatment centers in the U.S. and only a fraction of them have JACHO and or CARF accreditation it is beneficial to find out from your insurance company if they require that accreditation or not. If you are working with addiction placement service like 800 Recovery Hub we can find all that out for you if not you can call the customer service number on the back of your insurance card and ask if they require JACHO or CARF certification. Most people entering treatment come in needing to have the substance they abused detoxed from their bodies. However, there are some people that seek inpatient treatment after they have been released from a regular hospital or detoxed on their own. The following information is for those entering treatment that has not just finished detoxing elsewhere. There are two ways that treatment centers detox patients. In my opinion, there is the right way and the wrong way. The right way is when the client enters a licensed Medical Assisted Detox to undergo medically supervised detoxification. I feel this is necessary for anyone that has been abusing alcohol or drugs and are likely to have withdrawal symptoms or those with other health problems. Medically assisted detoxification allows the patient to be closely monitored throughout the detox process and given the appropriate medication to prevent severe withdrawal symptoms. A Medical Detox is the safe way to taper off of drugs like Opioids. The detox stay can be as little as 5 days to as long as 10 days or longer depending on the age of the client, length of time using, substances used etc. You should research the detox facility as well as research the treatment facility you intend to use. In Factor 3 below I will detail further how to review the specializations and staff of a drug or alcohol detox and treatment center. Here is a RED FLAG when looking at a treatment center and what I call the wrong way to detox. Some treatment centers will try and convince you that they can perform detox without the client being placed in a licensed medically assisted detox. They may offer to have a doctor come to their facility and prescribe detoxification medication. 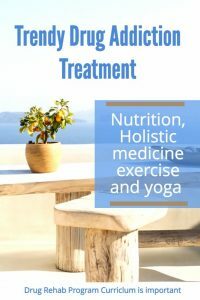 Although they may prescribe the same medication being administered at a medically assisted detox, they are not required to provide the same level of care and monitoring as a true detox. If you or your insurance is paying for treatment don’t be fooled by this less costly method of care. Alcohol detox centers typically use three medications, which are approved by the U.S. Food and Drug Administration (FDA), to help with alcohol-related cravings in the treatment of alcohol withdrawal and dependency: disulfiram, naltrexone, and acamprosate. Medically assisted detoxification involves professional health monitoring during the detox phase to ensure safety throughout the risky alcohol withdrawal effects. It is important to understand what specific detox services are available at the facility you pick. Most people are shocked to learn that alcohol and benzodiazepine known as “Benzos” (Zanax, Valium, Clonazepam, Ativan, Klonopin etc. ) detoxification are far more dangerous and life-threatening than detoxing from Heroin or Opiates. When detoxing from Alcohol or Benzos the medical staff at the detox needs to physically monitor the patient during the detox phase to ensure safety throughout the detoxification. Opiate detoxification in a Medically Assisted Detox is not only safer but it is far more comfortable. 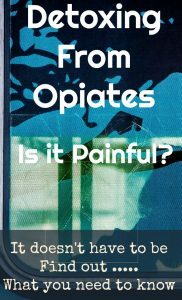 A common question: is medically assisted detox from opiates painful? That truly depends on the drugs that are used prior to coming into detox. Medication-assisted detox means that other drugs are used to help reduce the symptoms of detox withdrawal symptoms such as – body aches during detox – getting sick while detoxing – detox fever and chills and others. There are quite a few medications available for treating someone who has an opiate addiction, however, none of them is a cure for addiction. These medications can, however, diminish withdrawal symptoms and cravings. They may also block opiate effects. The most common medications for opiate detox and treatment are Buprenorphine (Subutex) which treats withdrawal from opiates, and it can shorten the length of detox. Clonidine is used to help reduce anxiety, agitation, muscle aches, sweating, runny nose, and cramping and Naltrexone can help prevent relapse. You want to make sure the facility you choose offers these medications as part of the detoxification process. Some treatment facilities only treat substance or alcohol abuse and do not have properly licensed medical doctors on staff to diagnosis or treat things like depression, chemical imbalance or other mental health issues. Many substance abusers suffer from depression or some form of trauma that occurred either before they began to misuse substances or during. Dual diagnosis is a term used to describe people with mental illness who have coexisting problems with drugs and or alcohol. Most accredited treatment centers websites will leave you the impression that they can treat any and all addictions and mental health issues. They hire writers that write long articles about each and every drug and most mental health disorders. It is important that the rehab you pick has qualified licensed medical staff on site that specializes and can treat any and all of the unique issues of the person seeking treatment. The best way to figure out the facilities mental health treatment ability is to research their staff resumes. It is jaw-dropping how many licensed treatment centers lack having a dedicated staff of M.D.’s. When you look at the “About Us or Staff” section of a facilities website take note of everyone with a medical license name. Then “Google” that person and see if they work at several facilities (license for hire) or if they work for the facility in question only. Treatment centers are allowed to outsource medical and mental health care but I prefer when staff is actually dedicated and on hand. After all, if your insurance is paying for quality treatment why would you not want to get the best care possible? To get the most out of treatment a key component is that you want to be in a rehab where the majority of other people in that rehab have similar addictions as you or your loved one. An important part of recovery from addiction and mental health disorders is group therapy. Group therapy works best when the people in the group are recovering from similar addictions and can share with each other as peers. Once in recovery, a bond magically forms between the attendees as they share their personal demons and find others have similar experiences too. Some of the more common groups I have listed below. Besides similar addictions, another key factor to picking a drug or alcohol treatment center is their age demographics. In the past 5-10 years as the opiate epidemic exploded in America many treatment centers geared their services and marketing toward 18-30-year-old heroin and opiate addicts. Many rehabs have a majority if not all of their clients that fit this category. It’s important to ask specific questions to the rehab you are considering regarding the age range and percentage of people in their facility that are being treated for opiates, alcohol and or other drugs. When you are looking for the best rehab, don’t forget to find a place that you “fit in”. Let me give you an example of a common problem in picking treatment centers that have to do with Clientele Demographics. Take the case of the 40-year-old, married male alcoholic, who is employed and has 2 kids. He looks at the website for a program that offers alcohol treatment and most likely the treatment center will treat drug abuse too. Everything looks good and this 40-year-old male enters that program. This particular treatment center (like many recently) has been concentrating their marketing efforts on 18-30-year-old heroin and opiate addicts. After detoxing he is sitting in groups filled with young adults that have nothing in common with him. Most have no responsibilities; have never worked, live with their parents, and have never raised a child. I know this sounds harsh but I have placed hundreds and hundreds of 18 -30-year-old opiate addicts in treatment in the last few years and they all fit the description I just described. In this situation, the 40-year-old married male cannot relate to the other people in the group and leaves treatment. With over 14,000 treatment centers in the U.S. do not worry you can find the perfect treatment center for substance abuse, mental health issues or alcohol abuse. It just takes research and more research. I cannot stress enough the importance of research and questioning each and every facility you are considering for specific information regarding the age range and various substances that their current patients are being treated for. Location, Location, Location I remember that being pounded into my head when I took a real estate seminar. So what does the location have to do with picking a treatment center? In my opinion, there are three main reasons that the location of treatment is important they are psychological benefits, higher completion rate and quality of care. 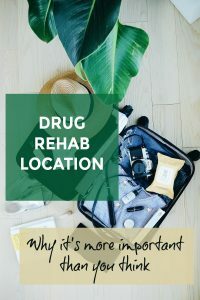 Traveling to a rehab location allows you to stay in a safe environment that’s free of distractions. So where is this magic location for treatment? If you have ever watched the TV show Intervention on A&E you will notice that when they were filming an episode in the east coast they would fly the person seeking treatment to the Midwest or even all the way to California. If they were filming on the west coast of California they would fly the person seeking treatment to Texas or Florida. They didn’t do that because there wasn’t a bed available where they were filming. They most likely did that for psychological benefits, higher completion rate and quality of care. Let me explain. When a person seeking treatment fly’s a thousand miles or more away from their home for treatment they get a psychological benefit of leaving their problems behind. When they enter treatment they can push all their problems aside and focus on recovery. Recovery is not running away from problems it is dealing with them one at a time and not all at once. After detoxification, a person in treatment can then work with the staff at the treatment facility on uncovering the extent of their troubles and work towards solutions that allow them to live a productive life. Very few people wake up on New Year’s Eve and say “I partied to hard last night I need to go to treatment”. Very few people ever get to treatment by accident. And I have yet to meet someone in recovery that didn’t say “I wish I would have done this years ago”. The point I want to make here is that by the time someone makes it to drug treatment it’s imperative they stay and complete treatment as we all know this has been a long time coming. Traveling to treatment helps assure completion of treatment. There comes a time in everyone’s early recovery that people want to leave treatment. Typically it is either at the start of detox or after two weeks. If someone is in treatment within a couple hours of where they are from they are very likely to leave treatment when these feelings happen they simply call a using friend to pick them up. If they have to travel by plane to get home, this creates a psychological barrier of difficulty. It takes several hours or more to set up. During those hours staff and family will have a chance to intervene. They can offer encouragement to stay and complete treatment or consequences if they don’t. Over the years I have had very few people leave treatment that traveled by plane. Conversely, I’ve had a high percentage of those that go into treatment near where they live, end up leaving treatment. When you are willing to travel to treatment the quality of available care in treatment in most cases increases substantially. Being able to pick a treatment center those best suits your addiction and mental health needs are far more important than convenience and location. Again this is a suggestion and I understand there are exceptions to the rule. Some treatment centers will post their daily program curriculum on their website. If the facility you are considering does not post it on their website request it in writing. If they won’t send you this and claim it is proprietary (an excuse I most often here) then cross that facility of your list and go on to the next one. Here is what to look out for in the curriculum. You should see between 4 and 6 times a day that various group and educational therapy are offered. Most drug and alcohol treatment centers will also allow time to attend AA or NA 12-step meetings. This is an important part of substance abuse recovery as Alcoholics Anonymous and Narcotics Anonymous offer long-term help fighting addictions. Going out to 3-5 meetings a week is normal and some treatment centers schedule in one day. However, if the rehab daily schedule or curriculum shows any more than one a day it’s time to start asking more questions. I have seen treatment centers schedule two or three AA and or NA meetings a day in their daily schedule. They brag about the 6-8 hours of intense treatment and daily therapy but there’s more behind the scenes. Talking patients to an outside meeting is usually a 15-minute van ride there and back and the meetings are an hour to an hour and a half. I don’t consider that quality treatment. That time should be considered transportation. The bottom line, how much “fluff” is in the schedule. The types of treatment centers that do that typically lack sufficient staff with medical degrees. If I see 2 outside meetings scheduled a day I would strongly suggest crossing that facility off of your list. If it shows three a day definitely cross off your list. In the curriculum, you want to see how much time is being spent on one on one therapy and counseling. Group therapy is an important part of recovery but I prefer to see no less than 30 minutes a day to an hour a day of one-on-one individual therapy and or counseling and that is for a person. Of course, people with deep mental health issues need more than that amount of time. Treatment is not just therapy and education; you can expect to see some fun things on that schedule too. Exercise is a crucial part of early recovery. As we have previously discussed, detox from substance dependency takes five to ten days. However, to truly detox the body from all the toxins that have been ingested can take a year or more. The body’s natural endorphins do wonders to help with depression and it is very common to see a person who has never worked out a day in their life become physically active during and after treatment. Obviously, there are 3 hours a day allowed for meals. A good treatment center will have their own chef preparing healthy food and some rehabs will use an outside caterer. I do not look at having a qualified chef on the staff of a drug rehab as an unneeded luxury, instead, I see it as an added value. The best programs combine holistic therapy with traditional addiction treatments. Typically meals are served in a group setting which is also therapeutic and creates bonds between the attendees. Whether you are a CEO of a fortune 500 company or a person that has been living off of the street you will have chore time this can be from 30 minutes to an hour a day. Many addicts haven’t made their own beds, cleaned their own laundry in years if at all let alone picked up after someone else. Breaking bad habits and creating new healthy ones is a crucial part of recovery. Some treatment centers have fun outings others prohibit them. This is more of an individual case by case personal preference. My main suggestion is to see when outside outings are allowed and find out if they are an earned privilege and if they are infrequent. More than one fun outing a week is a red flag for me. I have good news here; the Americans with Disabilities Act protects employees when they have gone into treatment. If you enter treatment for drug or alcohol abuse while you are still employed your employer is required to treat that as a disability and cannot fire you for going to treatment. With that said it is not retroactive. If you get fired for missing work or testing dirty and then go into treatment the next day your employer is not required by law to take you back. The key here is to go to treatment before you lose your job. I have had so many calls on a weekend where someone says they have to go to work on Monday and they will test dirty and want to know what to do. It’s simple: get into treatment now and Monday have the treatment center send the employer a notification you are in treatment. The majority of drug and alcohol treatment programs offer between 30 and 90-day treatment programs. My observation over the years has been the longer someone stays in treatment the better their results will be. Keep in mind the first two weeks is about physically detoxing and not much else is accomplished during that period. The real growth in treatment is when the fog begins to clear (around 14- 30 days) and the person in treatment begins to grasps what they are learning in the group and one-on-one sessions. If insurance is paying for the majority if not all of your treatment the maximum length of stay will be determined by “the medical necessity of care”. This is usually a tug of war between the treatment center and the insurance companies. I have noticed that the length of stay in some facilities tends to be the same for all their clients (except those that leave early). Facility A, for example, has a track record of clients staying 21-30 days and facility B has a track record of clients staying 90 days. So once you have decided what length of stay you desire. 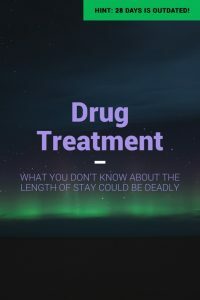 Now, you need to ask the facility this question word for word “What is the average length of stay for clients that do not leave against medical advice?”. The reason you ask the question that way is not only are you speaking their language but you have the best chance of getting the truth. You don’t want the answer they think you want to hear. What is the average length of stay for clients that do not leave against medical advice?. The 28-day drug rehab “stay” started because of insurance billing. I believe that treatment centers that stretch out care over a 90-day period are looking at the patient first, their bottom line second. In my opinion, some treatment centers do what we call burning through benefits quickly. This decreases the length of stay dramatically. I am sure the operators of those centers will take issue with this but this is my site and my opinion. If you have to pay cash for quality treatment there are drug and alcohol rehabs that will give you a discounted rate for paying cash. Specifically, you have to ask them “What is your discounted rate for Cash?” The first month of treatment is the most expensive and usually includes detox. The lowest legitimate cash discounted rate I have seen for drug and or alcohol treatment is $25,000 for 90 days. That is $15,000 for month one, $5,000 for month two and $5,000 for month three. For programs that also include trauma and mental health issues that can be more like $50,000 for 60 or 90 days. Although, finding treatment centers that will discount to that price takes a lot of trial and error and or the help of a placement service agent that knows many centers. If you are looking for your insurance to pay for drug or alcohol treatment you need to either call your insurance company or review your “Summary of Benefits” online before you start looking for a treatment center. The first of each year insurance companies often change policy benefits so that the insurance policy you had may have worked for treatment one or two years ago may not work today so you need to check. If you have received your insurance from your employer and it is a PPO policy your options for treatment are much better than what is available to insurance received from the HealthCare.gov website and state insurance policies. People always want to know what is better, in-network or out of network. As a rule of thumb if a treatment facility is in-network with an insurance company they tend to have a waiting list, offer no financial help and the amount of time a person stays is drastically reduced. There is a reason that. In-network facilities get referrals from the insurance companies which keep them full. This means that they do not need to offer financial hardships because they are full and in my opinion, the stays are shorter because they want to keep the insurance companies happy by reducing the cost of care. I always suggest using a treatment center out of network if you can for better care. Most substance abuse and mental health treatment centers are not “in-network” with most insurance companies. So the first things you want to look for even if you have a PPO insurance policy is to verify what the “out of network benefits” are for mental health and substance abuse. There are three specific items that will determine what portion of the treatment cost you may need to pay if any. Do not be discouraged if the amount seems unaffordable. Some treatment centers offer financial hardship arrangements if you can’t afford your deductibles and co-pays. What is your out of network deductible? Most policies have a different deductible for in-network providers than they do for out of network providers. Deductibles on good employer policies typically range between $500 and $2,500. Your actual deductible due can be less than the stated deductible if you have been to the doctor this year. Whatever the balance is, of the deductible, you will have to make arrangements to pay that to the treatment center. Co-pay or what percentage does the insurer pay? Your insurance policy will likely have a percentage of care that you are responsible for. Typically they run from 10% to 50% of the medical cost. Before you start taking out the calculator, the next item may be a relief because it will tell you most likely what your share of the treatment cost will be if anything. What are the maximum “OOP” out-of-pocket costs? Besides your deductible, your policy will have a dollar amount that is known as the maximum out of pocket. This is an important number. It represents how much money you most likely will have to either pay or arrange financial aid to pay for treatment. If your OOP is $10,000 and you have paid nothing towards your deductible most likely you will have a cost not covered by insurance of $10,000. If you have had prior experience with insurance companies the above is all you need. However, if you are one of the lucky ones that haven’t dealt with substantial medical claims you may need help. Find a treatment placement service provider to walk you through this burdensome process. Also, a reputable treatment placement service provider will also have relationships with nonprofit charities and other sources of treatment for financial help. Some treatment centers are co-ed and some are gender specific. Depending on the person seeking treatments personal situation consideration should be given to going into a co-ed treatment center versus gender specific. Typically if I have a person who has been abused in any manner or a person that has a problem with promiscuity or codependent relationships I prefer to place them in a gender-specific program. There are basically two kinds of gender-specific facilities. One type has male and female clients housed in different locations however the two gender groups will get together and participate in some of the same group counseling sessions. This is what I prefer for people not suffering an extreme amount of past abuse. The other type of gender-specific treatment facilities the center only provides service to either male or female clients and each gender participates in most of their recovery with the same gender. I recommend this for people with promiscuity or codependent tendencies. Co-ed facilities are done one of two ways either both male and female clients are housed in the same physical building in separate rooms or other times males and females will be in separate wings of the same facility but most of the group sessions are mixed. I like this philosophy “We may not be your first treatment center but we can be your last” which comes from one of the treatment centers I refer clients to. Now some people go to treatment once and stay clean and or sober and never need to go back, then you have others that have been to rehab a few times and even some that have been 10 times or more. Hard fact: if you are looking for treatment for a habitual relapser stop right now and call 800 673-5950 extension 700 and ask for Bruce because the person seeking help needs professional help finding the right rehab and all prior methods you have done have failed. For someone that has gone to treatment and relapsed, I like to get a full understanding of where the person went to treatment before and research that facility for strengths and weaknesses and also understand why they went to treatment before. Typical reasons for going to treatment are court, job, relationship, health, out of money or sick and tired of being sick and tired, etc. For example, if I am dealing with a young adult who has left treatment early many times I am likely to send them to a facility that is extremely remote that specializes in relapse prevention. In my opinion, the majority of drug and alcohol treatment centers are run with the desire to help suffering people and make a profit or the desire to make as much profit possible while helping people. Very few (there are some) are run with a philanthropic philosophy and are privately funded through donations and there is no profit motive. Obviously, I steer my clients away from treatment centers I believe are about making as much profit possible. What is really shocking is that it is relatively easy now to open a treatment center if you have knowledge of recovery and a financial backer. Up until the year 2002, almost all treatment centers were in a hospital setting. In the last 15 years or so that all changed with the explosion of a brand new treatment model known as The Florida Treatment Model and The Malibu Treatment Model. These treatment models which are known as Residential Treatment Centers now account for approximately 80 to 90% of the treatment centers in the U.S. The Residential Treatment Model for drug and alcohol treatment is just that – it’s a residence. Entrepreneurs with a checkbook and knowledge of recovery start their treatment centers by leasing a 4-6 bedroom house and typically putting two beds in a room and create a 6-12 bed residential treatment setting. Typically one bedroom is used as a house manager or staff employee. Then the entrepreneur will lease office space nearby to conduct “treatment sessions”. Of course, they need an agreement and the services of a medical doctor to bill insurance companies. I wrote this article to be helpful and explain the importance of and the process used to find the right treatment center for any person needing addiction treatment. Please don’t make the common mistake of being so relieved a decision was made to go to treatment that you pick the first facility you find. Remember free help is available to help you to help you choose the best treatment center for your unique situation. Do you have a question about drug rehab?